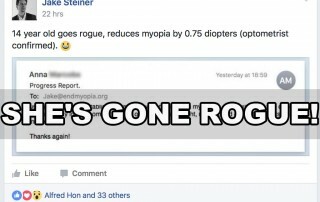 Is Going Outside The “Cure” For Myopia? 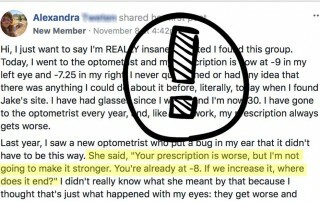 Go outside, don’t end up with glasses. 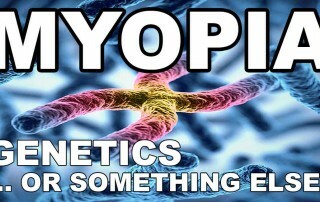 Or so some will tell you. Any truth to this? 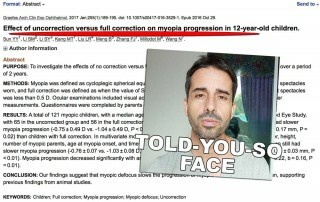 There was quite a bit of media coverage recently, about another circle jerk of a poorly designed study, taken out of reasonable context, turned into the soundbite of “go outside, don’t need glasses”. You’ve got “journalists” who get paid about 25 USD per article. Yes, it’s true, more often than you want to imagine, even major news outlet writers are being paid as contractors, and basically in peanuts. It’s really no wonder you get this parrot level of journalism quality. And you’ve got “doctors” (good gods Jakey loves quotation marks, whenever talking about various establishment credentials) who vomit out these studies, devoid of any semblance of logic or reason. 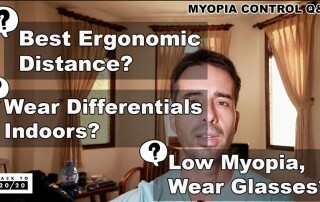 Early myopia, pseudo myopia, is a focusing muscle strain symptom. 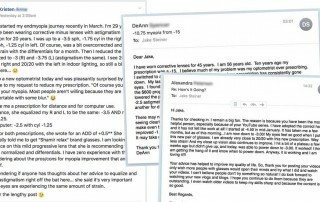 Yes, being outdoors coinciding with less screen time, you’ll have less focusing muscle strain. You could also hang out in the basement rebuilding vintage motorbikes, though, and still not become myopic. 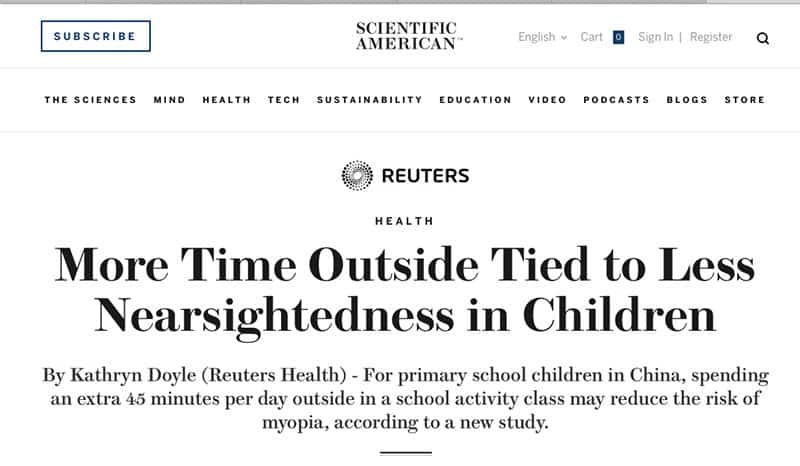 It’s not the fact that you are outdoors that delays myopia onset, but rather the fact that you’re not in front of a screen. 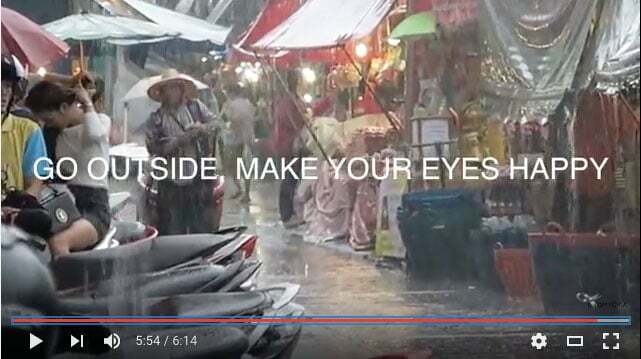 Being outside is fortuitously coincidental and makes for nice Facebook shareable headlines. 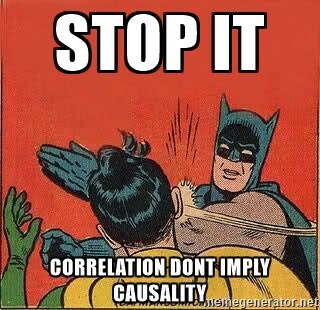 Causality is a complicated concept to some, and poorly derived conclusions abound. Looking at you, Dr. Mingguang. We should pay one of the journals (yes, the system isn’t based on merit and wisdom, but mostly just cash money) to publish a study of our own. 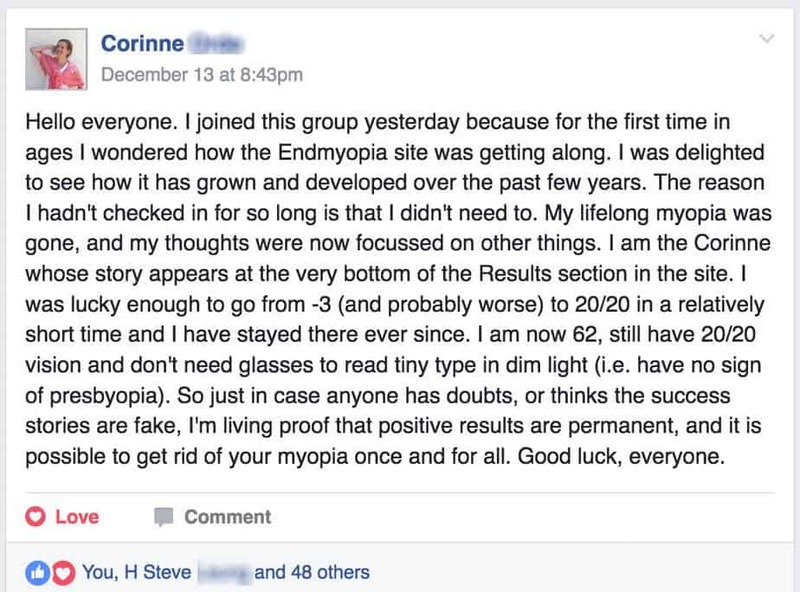 I want to show how rebuilding vintage motorbikes delays the onset of myopia. Maybe get a sponsorship from Ducati out of it. 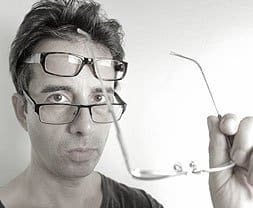 Of course the majority of the stimulus that does yield notably improving eyesight happens during outdoor time, but that’s because you are also working on challenging your eyes, and providing positive stimulus. In other words, you’re not just outside, but you’re outside, and you know what you’re doing. Give it a quick thumbs up, and subscribe to the channel while you’re already over there.